Sikre deg en gunstig pris på Anastasia's Rooms – det har fått 9,6 poeng av gjester som nylig har bodd her. Anastasia was very helpful and accommodating. 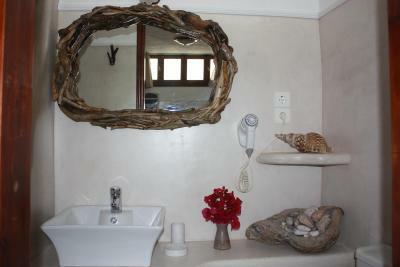 The place was amazing, it was very clean and had everything what we needed. We will surely come again! The owners are so helpful and there if you need them. Spotlessly clean. 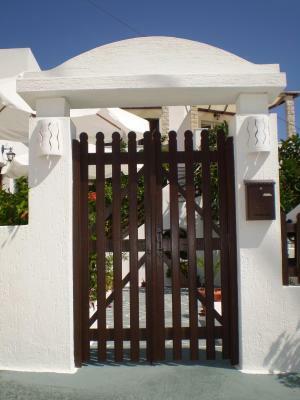 Great location in friendly village. Close to very good restaurant and supermarket. The great attention and assistance of Anastasia and her husband Niko. The apartment was beautiful, organised and really clean. Anastasia was very helpful. We had some problems with the language but managed to communicate through google translator. Anastasia welcomed me like I was a part of the family! The property was beautiful and in a really good location. Ms Anastasia has been an excellent professional and at the same time the warmest host I have ever met in my life. 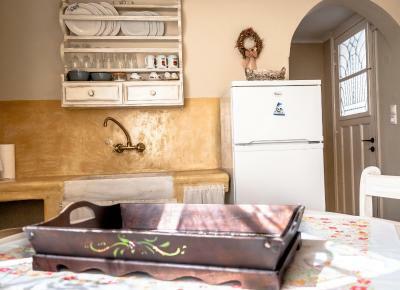 The apartment itself is 1-10 minutes (on foot) away from all amenities: supermarket, bank, groceries, a traditional restaurant, free car parking, bus stop. 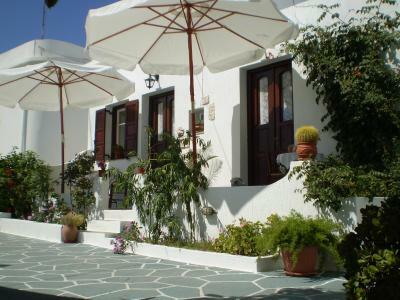 It is quiet, picturesque, and in a good location close to Plaka and Adamas, two of the most popular areas. 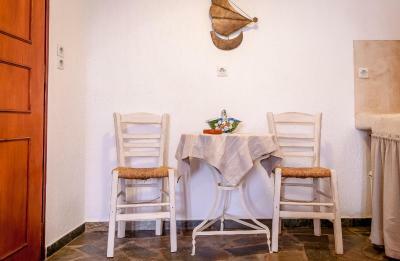 The room is very pleasant to live in since there is always warm water, everything is spotless, and a small detail: the tree in front of it creates a beautiful shade so you can enjoy your brunch or dinner in a great atmosphere. 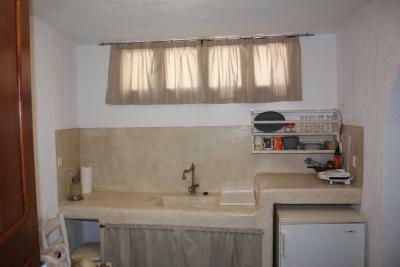 The property was extrely quiet and comfortable. Staff were very friendly and very clean. 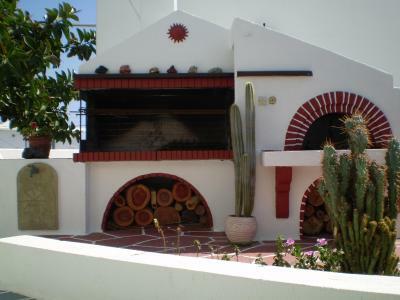 Fantastic apartment in the village of Triovasolas. 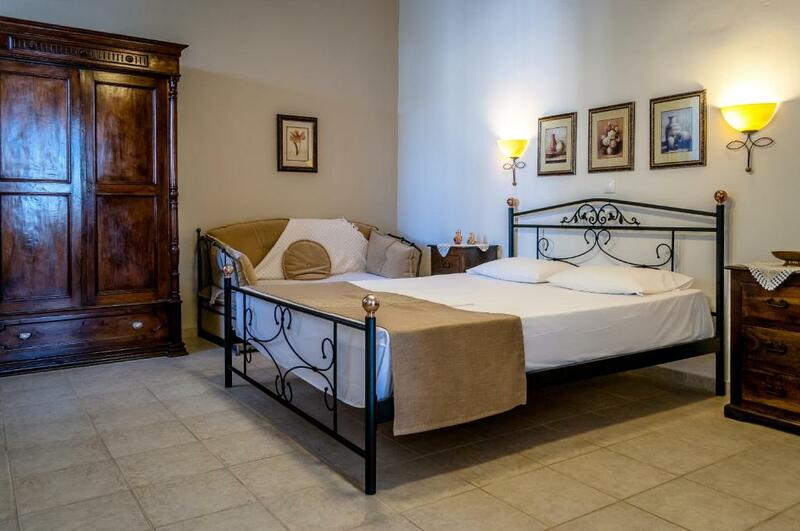 We had a spacious room with separate kitchen/dining area where there was also a single bed. 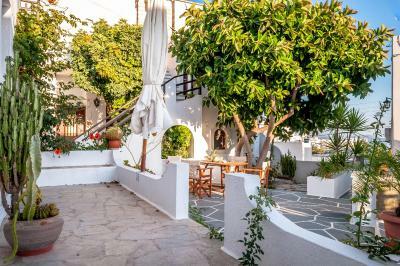 The apartment was spotlessly clean with a really pleasant patio and garden area to sit for breakfast or a drink in the evening. But what makes this place special are the hosts. 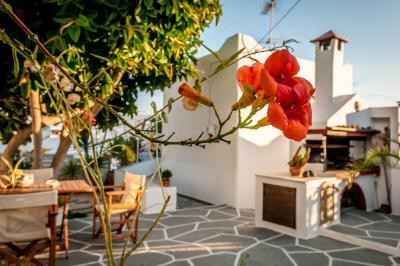 Anastasia and her husband are so welcoming and they made every effort to make our stay in Milos a great experience. We had an issue with passports which Anastasia went out of her way to resolve whilst encouraging us to go and enjoy our holiday. 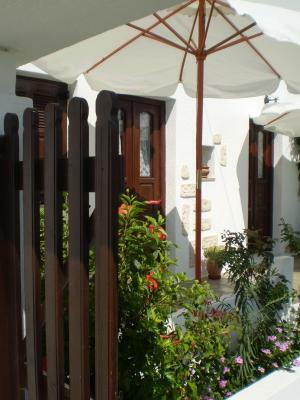 The family also have an excellent restaurant in Pollonia and if you get the chance have a meal there - make sure you book. 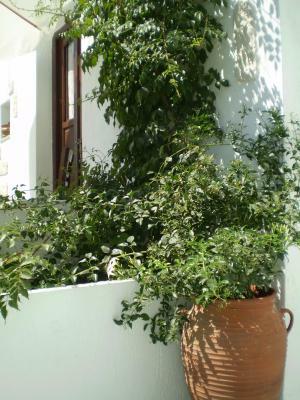 The apartment is about 15-20 minutes walk from Plaka (uphill there to work up an appetite but downhill after you have eaten); and an easy drive to the port. I liked the style of the room, Anastasia did a great job there giving attention to every detail. The room was also very clean and spacious. Anastasia was always available and happy to help. 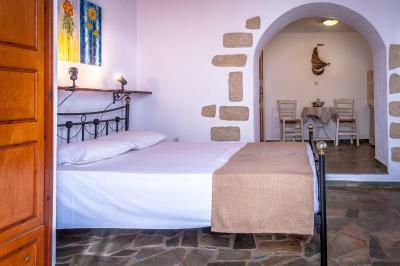 Housed in a renovated 19th century building, Anastasia's Rooms is situated in the traditional Triovasalos Village of Milos, within 1 km from Plaka. 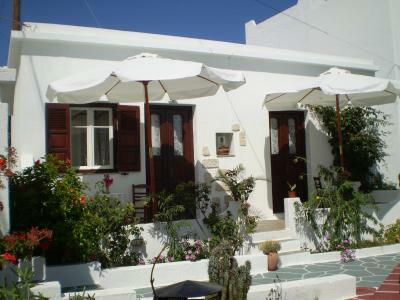 The family-run property offers accommodation with free Wi-Fi and a patio overlooking the blossomed garden. The studios and apartments of Anastasia are traditionally decorated with built-in or wrought-iron beds and beamed ceilings. Each air-conditioned unit features a fridge and dining area. The private bathroom comes with a shower. 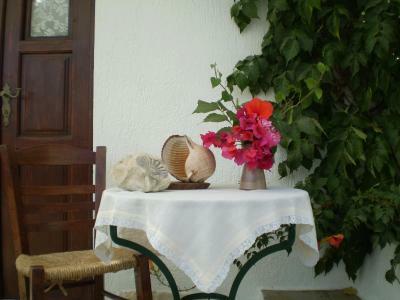 Guests can prepare their own breakfast and enjoy it at the comfort of their room. BBQ facilities are available in the garden for al fresco dining. Restaurants and mini markets can be found within a walking distance from the property. 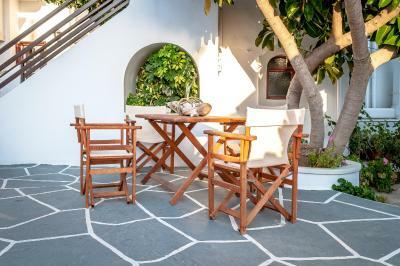 Anastasia’s Rooms lies within 3 km from Adamas Village and Port and 7 km from Milos National Airport. 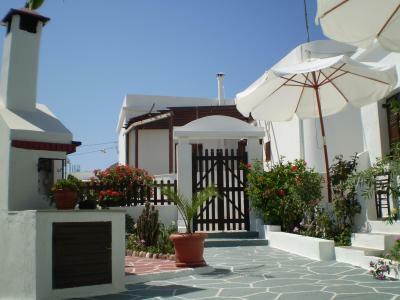 Mandrakia Village is at 1.5 km, while the famous beach of Sarakiniko is at 4 km. Free public parking can be found nearby. Dette overnattingsstedet anbefales for deg som vil ha valuta for pengene i Plaka Milou. Andre gjester som har bodd her, mener de får mer igjen for pengene sammenlignet med andre overnattingssteder i byen. Vertskapet på Anastasia's Rooms har tatt imot gjester fra Booking.com siden 16. juli 2012. Når vil du bo på Anastasia's Rooms? 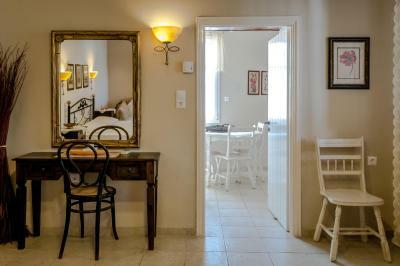 Featuring a dining area, this traditionally decorated studio opens to a patio overlooking the garden. A fridge, air conditioning and free Wi-Fi are available. Consisting of a separate bedroom and a dining area, this traditionally decorated apartment features a patio overlooking the garden. A fridge, air conditioning and free Wi-Fi are available. Les dette før du booker Anastasia's Rooms tar gjerne imot spesielle ønsker – du kan legge til en kommentar under neste steg. 1 større barn eller en voksen kan sove i senger som allerede står på rommet, for 10 EUR per natt per person. Anastasia&#39;s Rooms godkjenner disse kortene, og forbeholder seg retten til å reservere et beløp på kortet ditt før innsjekking. Anastasia's Rooms godkjenner disse kortene, og forbeholder seg retten til å reservere et beløp på kortet ditt før innsjekking. Guests are kindly requested to inform hotel about their estimated time of arrival. Please note that the property does not provide transfer service.